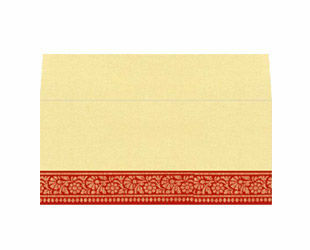 Money Envelopes can be ordered with the main card during bulk order process. If you don’t want to order them now, any item can be ordered at a later date also. A Peel off self-sealing is suggestible. It adds 15 cents per envelope.